What a fantastic story. Some people can’t stand special snowflake Simon, but I love it all. The Dragonbone Chair is takes a long time to build, and therefore it’s hard to give a spoiler free premise. Our main character is Simon, a young orphan boy living in the Hayholt castle. He is a dreamer, someone unfit for the dreary castle life. When he becomes the apprentice of the fascinating Morgenes, he feels like he might finally become part of the adventures and grand life he has always fantasized about. However, he doesn’t know that he will become part of a journey that isn’t nearly as glorious as he expected it to be. 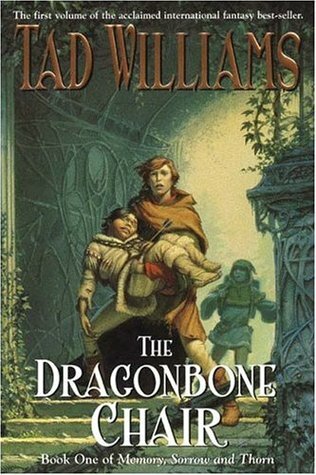 In many ways, The Dragonbone Chair is a classic fantasy story. Simon as special snowflake-y as they come – there is no denying it. However, I love following his development from a naive scullery boy to a responsible young man. Simon is a dreamer, an idealist, which is something I can relate to. He develops from someone that things happen to, to someone who becomes more in control of his own fate. He finds bravery, friendship, and through hardship loses his naiveté. His is a typical coming of age story, but a heartfelt one. The world of Osten Ard slowly unfolds like a scroll being opened. When Simon is young, our perspective is limited to the capitol. As Simon’s scope broadens, so does ours. We learn more about the different tribes inhabiting Osten Ard, and the tensions between them. 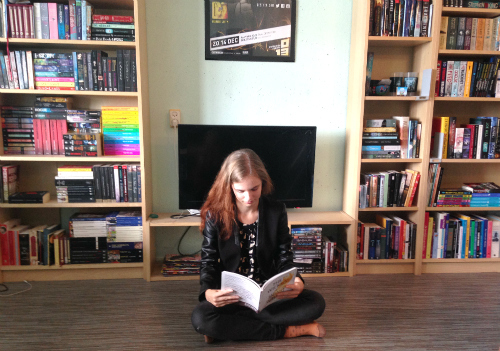 Instead of dumping this whole world on the reader at once, we’re being taught its mythology piece by piece. There is a lot of background to learn, and I would not call the book a fast-paced one, but I feel all the background adds to the story. The scope of the book is truly epic, and without the sense of history the world building provides, the whole book would fall flat. The Dragonbone Chair is published in 1988, and its story might no longer appeal to the modern sentiments of contemporary fantasy lovers. If you’re looking for a classic story with clear Tolkienesque influences, give The Dragonbone Chair a try. A good fantasy story is timeless after all. Kitchen-boy Simon is bored, restless, and 14 years old – a dangerous combination. It seems, however, that his life has just taken a turn for the better when he’s apprenticed to his castle’s resident wizard. As Simon’s learning to read and write under Doctor Morgenes’ tutelage, forces greater than he could possibly imagine are gathering: forces which will change Simon’s life – and his world – forever.